More than one in ten workers in the South East are actively looking for a new job, with 17% looking to change career entirely in the future, according to job search engine REED. The research found that the most important factors for career happiness are job satisfaction (30%), good work/life balance (28%) and salary and benefits (25%). And, according to REED, employers must think about offering employment packages that take into account flexibility as well as salary, in order to appeal to changing lifestyles. The study also found that 29% of workers in the region have changed employer more than seven times over the course of their career. When asked why they swapped employer, South East workers reported better prospects (33%), better salary (28%), and boredom with their current role (28%) as the main motivators for this change. 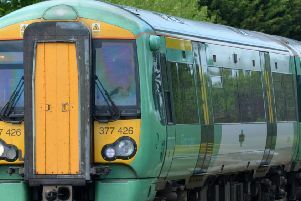 Simon Baddeley, executive divisional director for REED in the South East, said: “In a candidate-led market like this, employers need to think hard about how they attract and retain staff. “What this research shows is that although salary is very important, now we’re out of the recession it’s no longer just about pay – employers need to consider many other factors, such as flexible working and how they can offer the greatest job satisfaction. Workers are feeling more confident about the economy, and as such are feeling that they can ask for, and expect employers to give, a more holistic employment package.